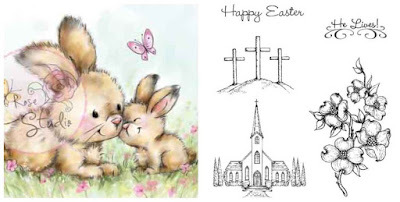 Happy Easter and Welcome back. Nancy, here, and I am excited to share my Easter gift boxes made for each of my grand children. You will find all of these wonderful products and supplies at The Rubber Buggy on-line store. I had so much fun making these boxes and so will you. 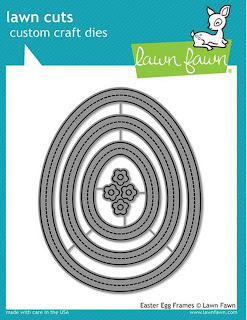 Lawn Fawn Easter Egg Frame die set. I just love this die set. These boxes were made using the Heartfelt Creation Flowering Dogwood collection with handmade dogwood flowers from this set, Magnolia stamps: Tilda With Lace Pants, Spring Kitty Cat, Tulip Walkway, Puppy Love Wiola sets and Lemon Craft Sense and Sensibility papers. I had so much fun making this for my grandsons and one grand daughter. 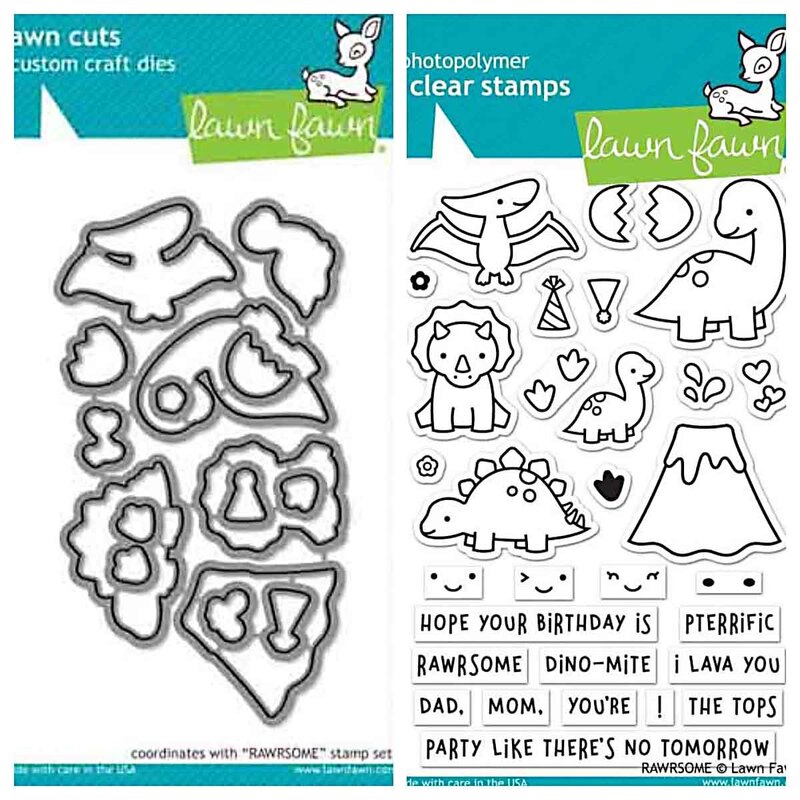 The adorable dinosaur stamp and dies are from the Lawn Fawn Rawrome Stamp and die set. I had some flower lace and used a hot glue gun to adhere the lace to the front of the frame before gluing the stitched frame to the image. 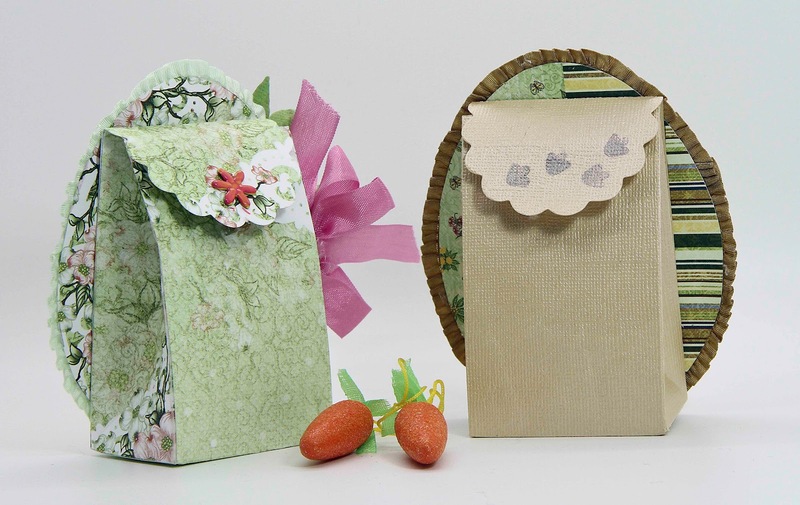 The gift box on the right was made with Heartfelt Creations Woodsy Woodland paper, stamp and die collection. 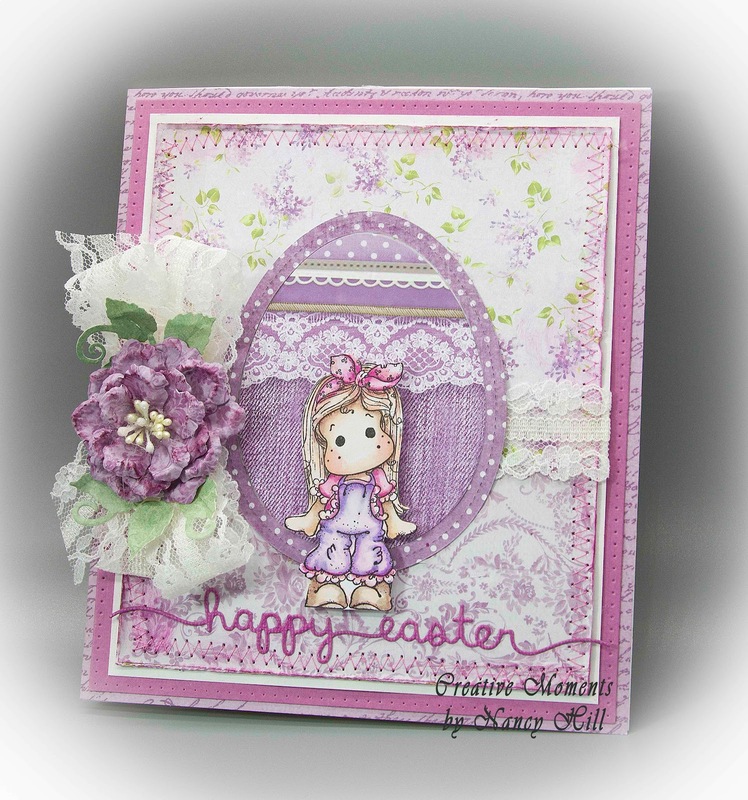 Made this gift box using the Wild Rose Studio Spring Bunny stamp set along with the Heartfelt Creation Flowering Dogwood - Chapel stamp. 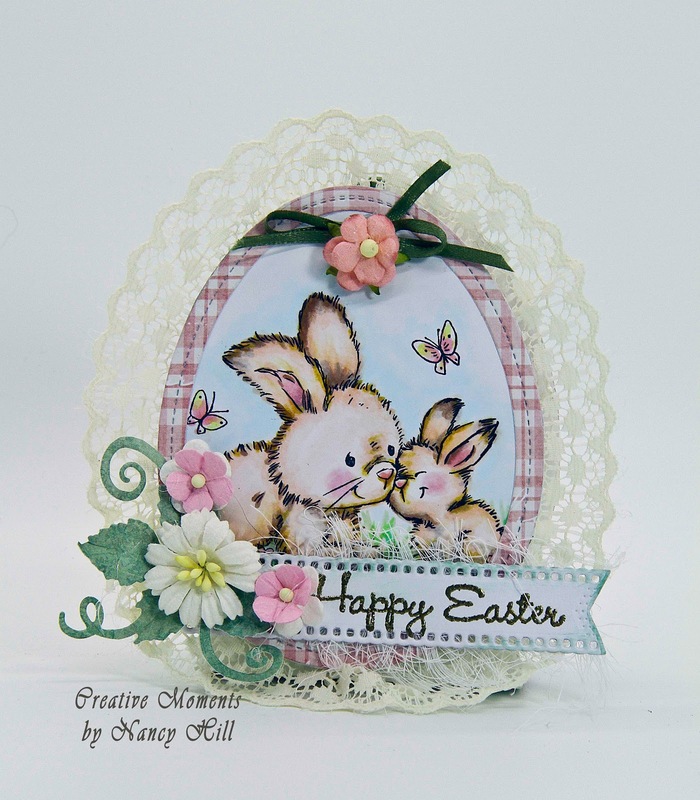 The pink egg-shape is from the Lawn Fawn Easter Frame and it also cut out the egg-shaped image. 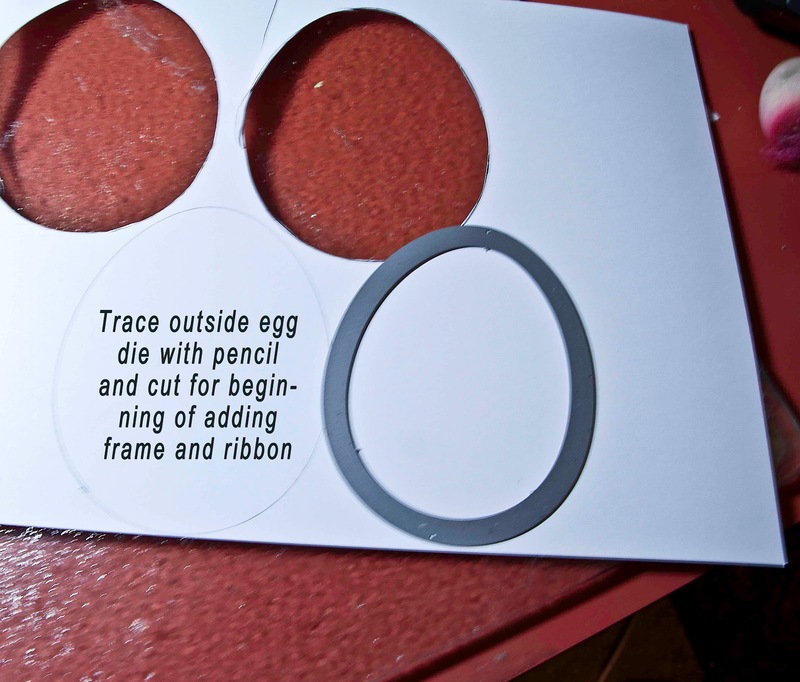 I should have purchase the other Lawn Fawn Easter Egg shaped die set for my base for my boxes but instead, I just used a pencil to draw the outside of the largest die and cut it out before adhering the frame and image on the egg-shaped base. Special Technique: I found out with trial and error and using a hot glue gun and adding the ribbon on the back of the egg-shaped frame appears better than gluing it behind the base. Also, if there is a mistake or some hot glue strings or glue bumps showing, just use a hot embossing gun and melt it away. 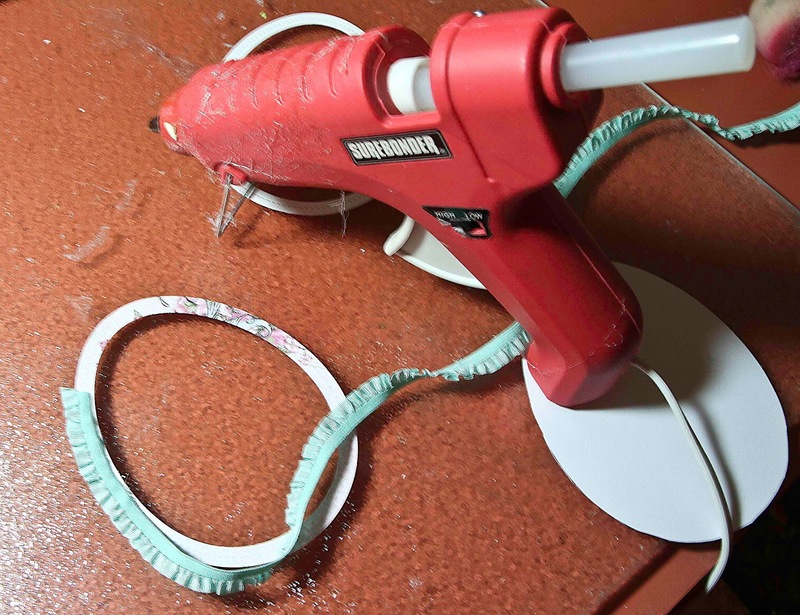 Also, I use the hot embossing gun to remove excess glue from a project. 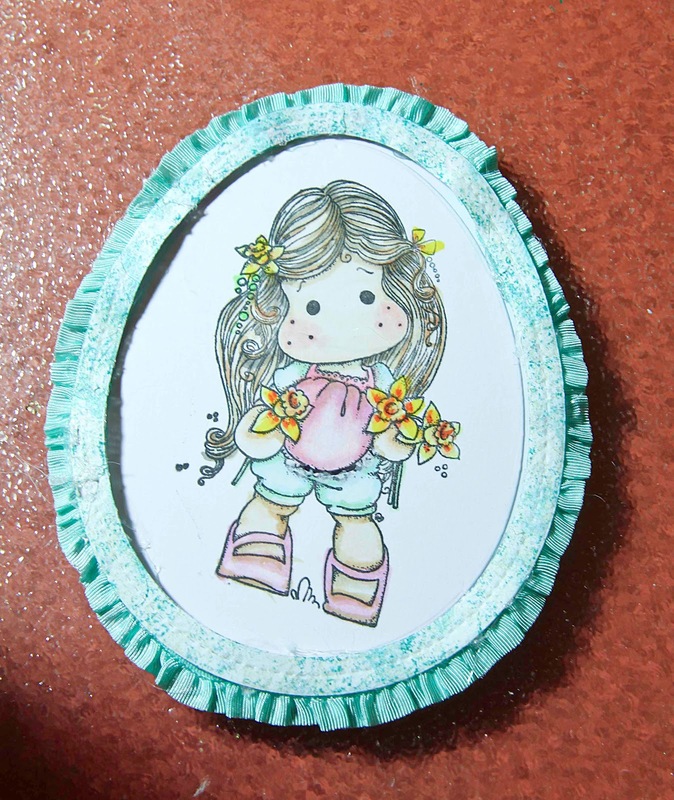 You can see the gorgeous frame and 3-D effect by adhering the frame with the ribbon on top of the image. In my stash of old dies, I found a box die set and made these boxes with the same patterned paper are the front. I used a hot glue gun to adhere to the front. These boxes were stuffed with jelly beans and chocolate eggs. I used a hot glue gun to adhere Velcor on the inside of the tabs to shut the boxes. 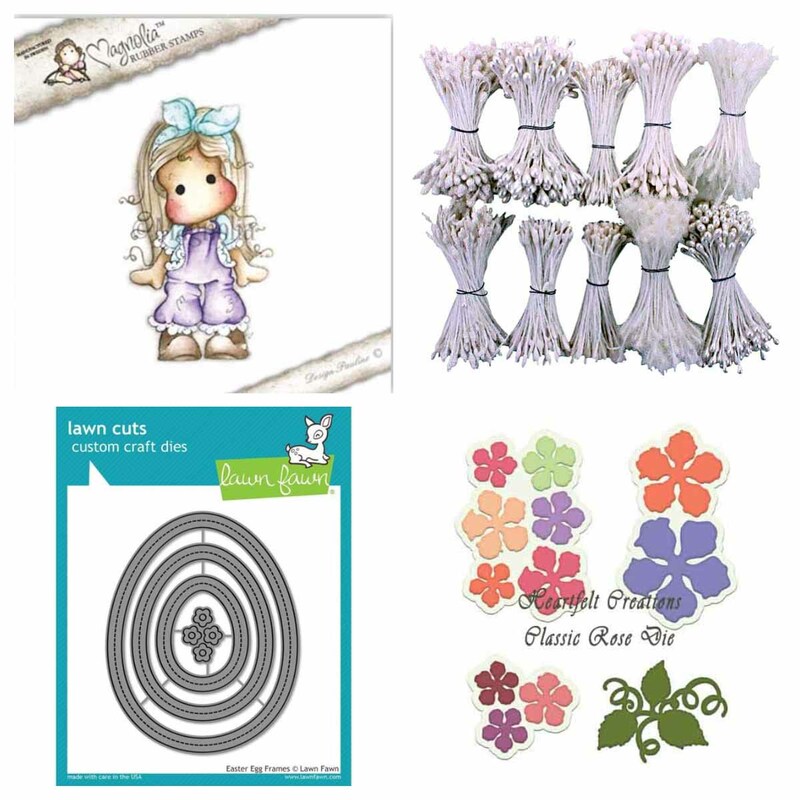 I hope I have inspired you try out these products available at The Rubber Buggy on-line store. My cards and projects are always posted on Saturday. Keep watching and thank you so much for those wonderful comments as well as suggestions. 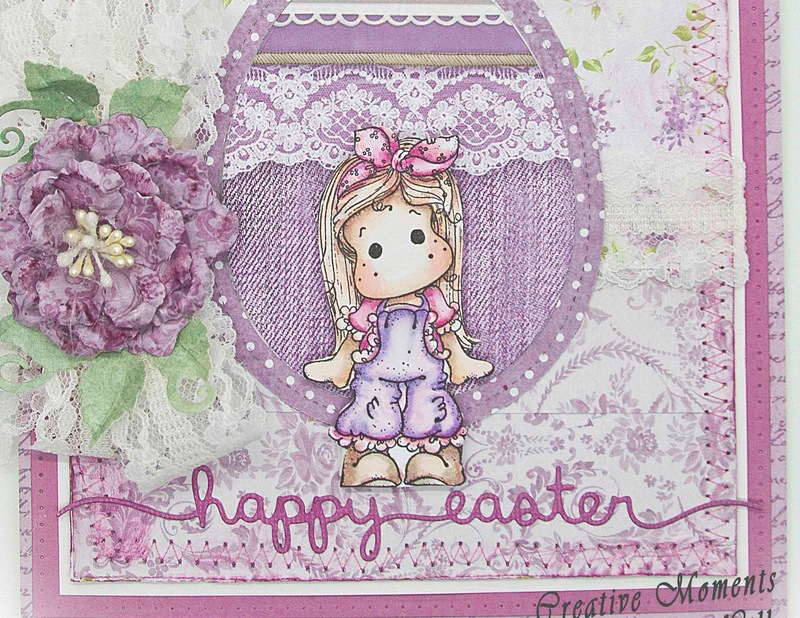 Welcome back and Nancy here and excited to share my Easter card with you made with the adorable Magnolia Stamp Sweet Tilda With Lace Pants made with the beautiful Stamperia Provence paper. 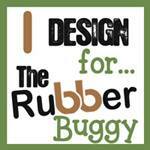 Please visit The Rubber Buggy on-line for all the fun products I've used today. 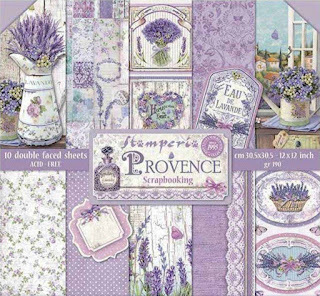 I stitched the Stamperia Provence papers with my sewing machine to the main frame besides using the Beacon 3 in 1 Advanced glue first to adhere the layers of papers together. I adhere the Lawn Fawn Easter Egg die along with the Lawn Fawn Happy Easter Border die sentiment that was cut out using the Stamperia Provence paper and pink cardstock for the sentiment. 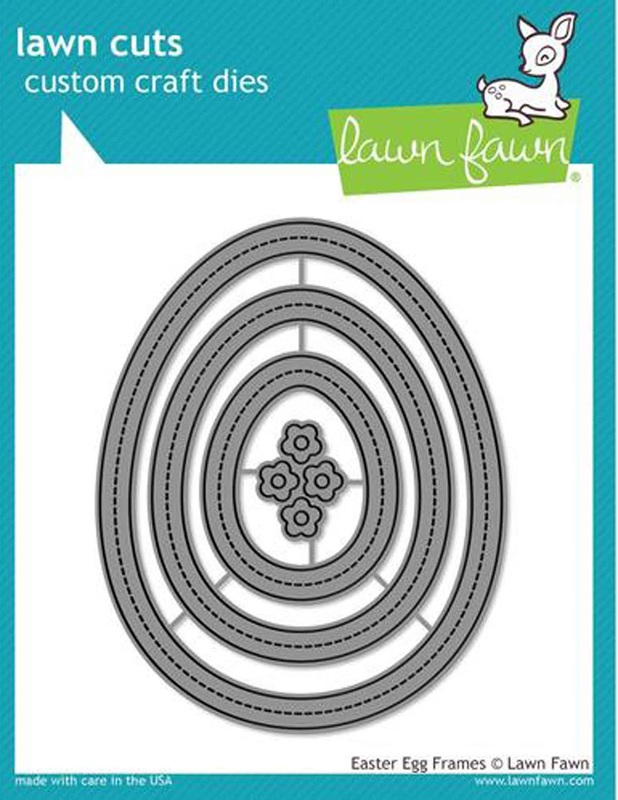 One advantage of having the Lawn Fawn Easter Egg die set is that the frame is cut out leaving the egg shape as well. 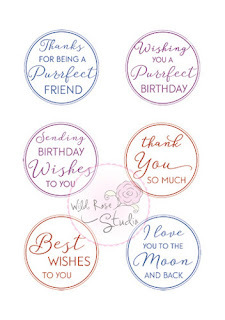 Therefore, you get two cut outs in one die through the die cutting machine. I really love the separate stitched egg shaped frame. I handmade the flower using the Heartfelt Creations Classic Rose die with the Heartfelt Creations Rose mold and used the Beacon 3 in 1 Advanced glue. 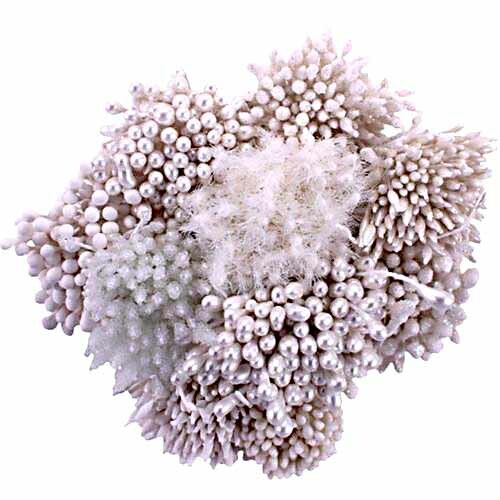 I poked a hole in the center of the flower and inserted about 8 strings of the pearl stamen from the Heartfelt Creations Bridal Bouquet stamen collection. 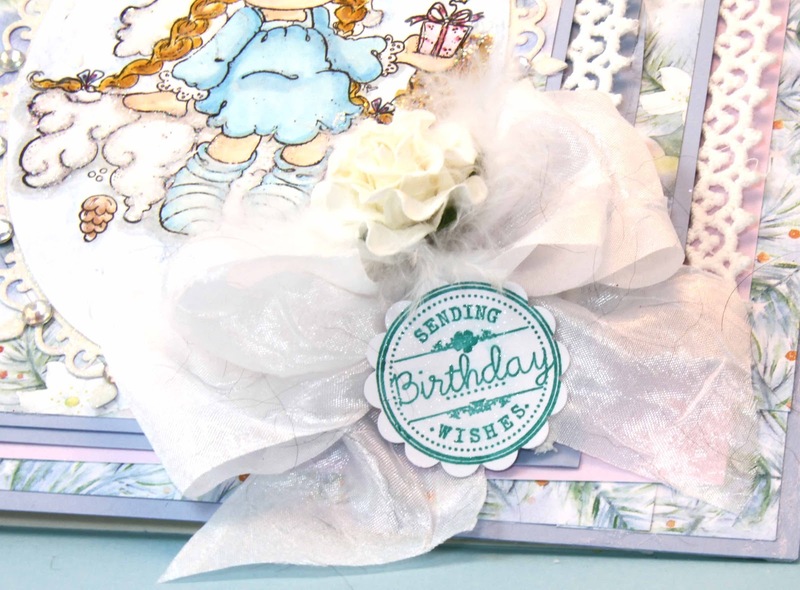 I adhere a handmade bow behind the flower and used a hot glue gun to adhere to the card. 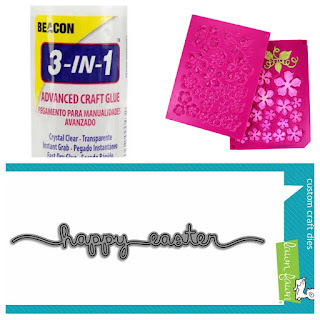 Time for making spring cards and paper crafted projects. 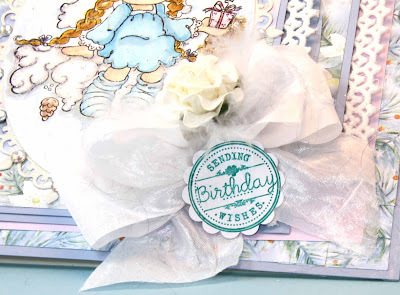 I have so many spring birthday cards and gift boxes to make for each of my grand children and children for this time of year. The Rubber Buggy on-line store has all of the name-brand supplies and products for you to make your gorgeous spring cards and paper-crafted projects. I really love crafting with the Heartfelt Creations Flowering Dogwood collection of papers, stamps and dies besides their other products. 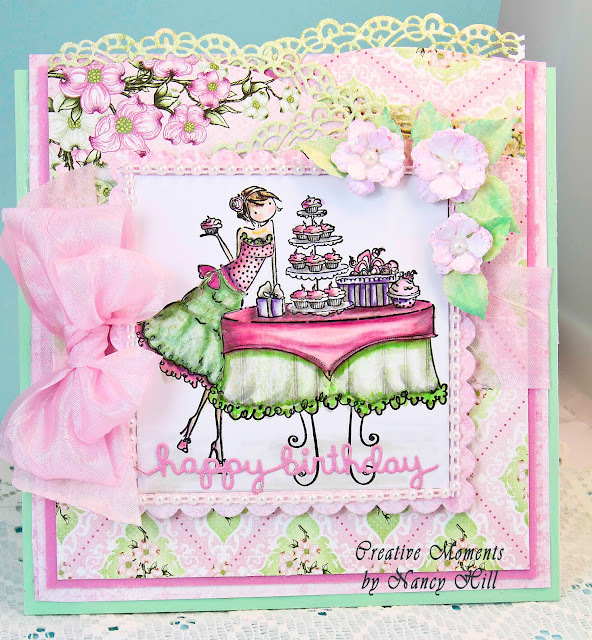 I made my card using the Heartfelt Creations Flowering Dogwood paper along with the Stamping Bella Uptown Girls Caitlynn Is Having a Cupcake Party stamp. I always use Copic Markers to color my images. 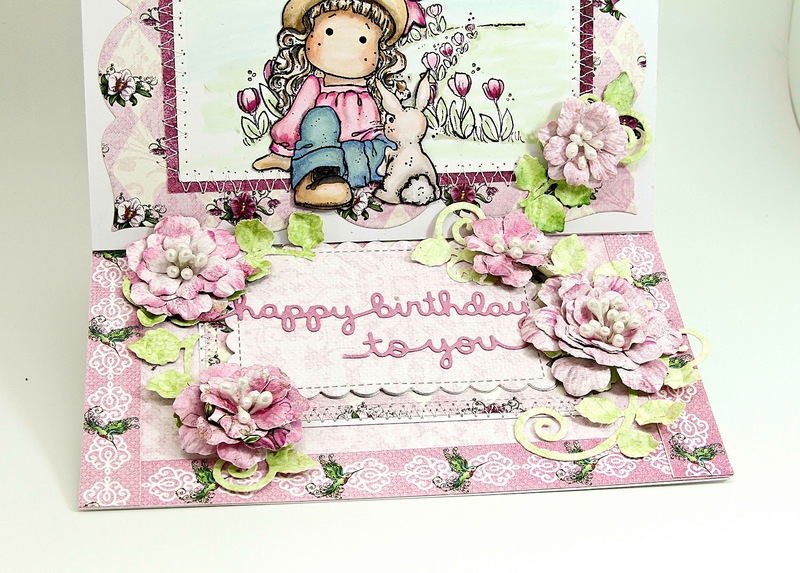 Below the Stamping Bella Caitlynn is the Lawn Fawn Happy Birthday To You border die cut out with pink metallic cardstock. I framed the stamped image using the Lawn Fawn Stitched Scalloped Square die and added 3mm flatback pearls around it. I cut out the Heartfelt Creations Classic Rose die set and ran these petals through the Heartfelt Creations 3D Floral mold before assembling the petals with the Beacon 3 n 1 Advance Glue. 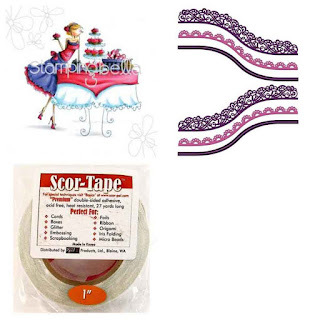 I adhered using Scor-Tape the May Art pink bow behind the image. On top of the card, I cut out three Heartfelt Creations Fleur Border borders dies with green cardstock and used the Beacon 3 n 1 glue to adhere it to the back of the pink patterned paper. 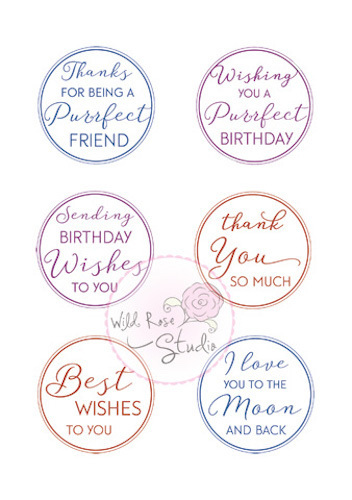 Brighten someone's day and send your springtime birthday card today using the name-brand products on The Rubber Buggy on-line store. Spring will be here soon and The Rubber Buggy has all of the wonderful name-brand products and supplies for your spring and Easter projects and cards. 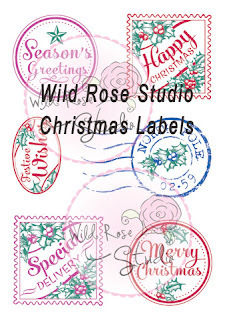 Better get yours soon before these gorgeous dies, stamps, papers, etc. are sold out. 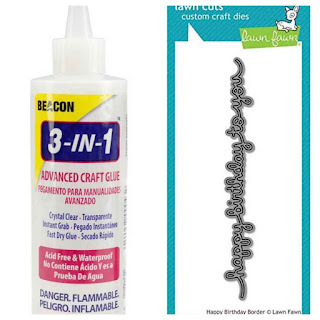 Beacon 3 n 1 Advanced glue for gluing paper. It drys clear and very tacky and drys fast. 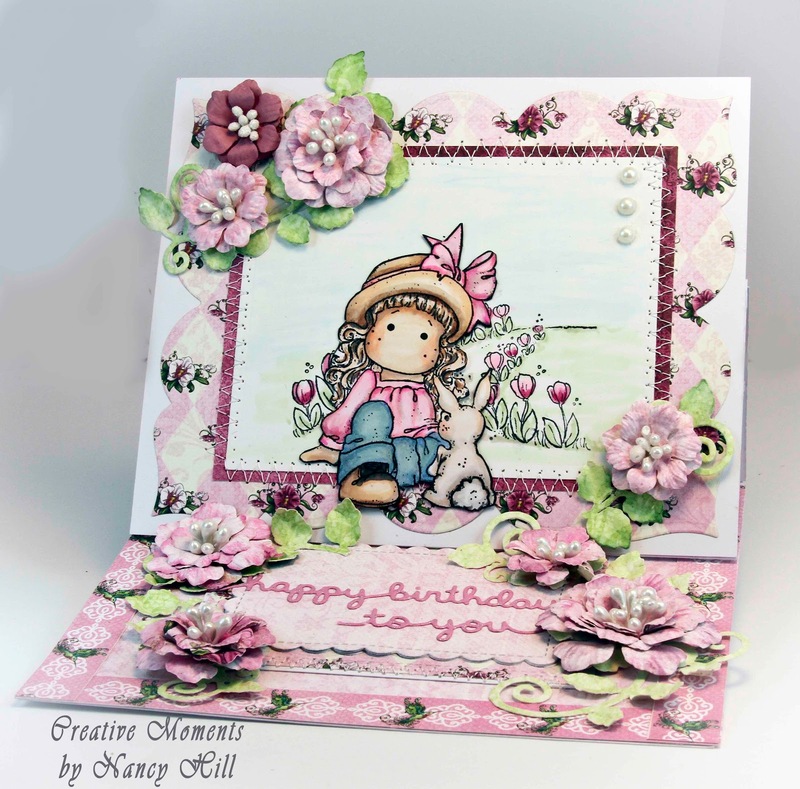 Hi, Nancy and excited to share a birthday card made with the spring theme. 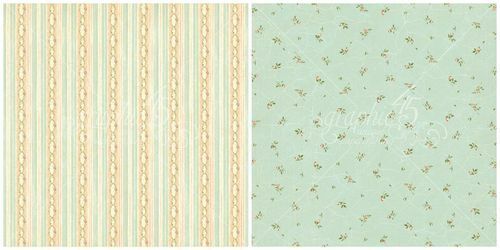 I just love the gorgeous pastel colors during this time of year. 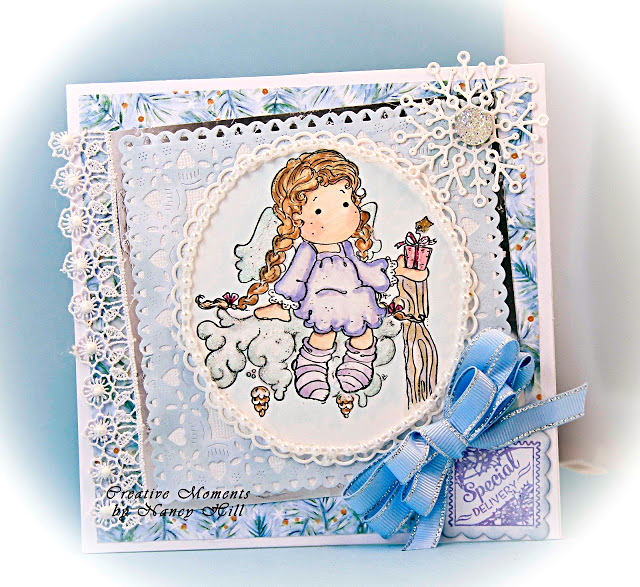 I used two Magnolia Stamps, Tilda and Her Bunny and Magnolia Stamps, Tilda Tulip Walkway for the image and colored it with Copic Markers. I stamped the Magnolia Stamp Tulip Walkway on white cardstock and colored. 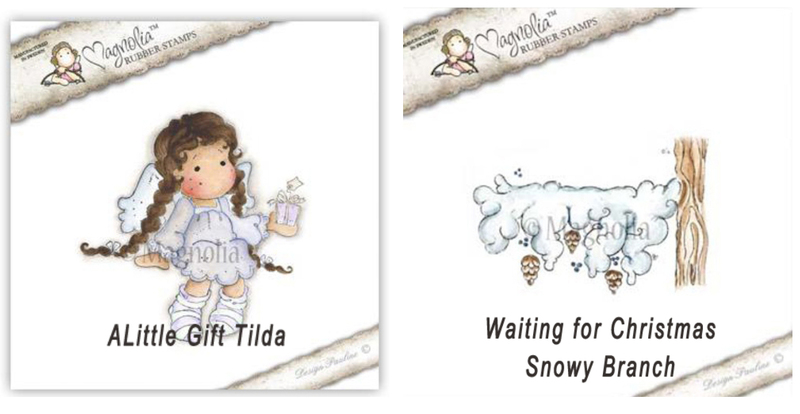 I stamped the Magnolia Stamp Tilda and Her Rabbit on a separate white cardstock and fussy cut her out and then colored her with Copic Markers. I used the Beacon 3 n 1 Advanced glue to adhere Tilda on the Walkway. I used a sewing machine to stitched the frames together using the dark pink frame cut out from the Heartfelt Creations Botanical Orchid paper collection. I cut out the Lawn Fawn Happy Birthday To You with pink glitter cardstock and adhered the sentiment to the Lawn Fawn Outside In Stitched Rectangle small die. I handmade the flowers cutting the flowers out with the Heartfelt Creations Arianna flower die set with the Heartfelt Creations Botanical Orchid paper. 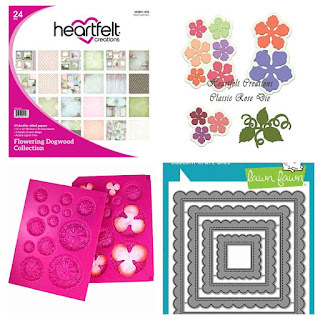 Since the Heartfelt Creations Arianna flowers are not available, I would highly recommend using the Heartfelt Creations Classic Rose die set. I used the Heartfelt Creations 3D Basic Shaping Flower mold to shape the flowers and used the Beacon 3 n 1 Advanced glue to assemble the flower. First cut the flowers out. Second, set in the mold and lightly sprint the back of the petals. 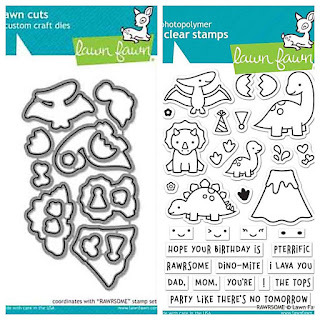 Third, run the mold through the Sizzix Die Cutting machine. 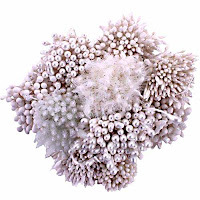 Fourth, take the flowers out of the mold and poke a hole in the center of the flowers, folded the string of the pearl stamen found in the Heartfelt Creations Bridal Bouquet stamen, pull through the hole and use a hot glue gun on the back of the flowers to adhere the stamen on the flower. 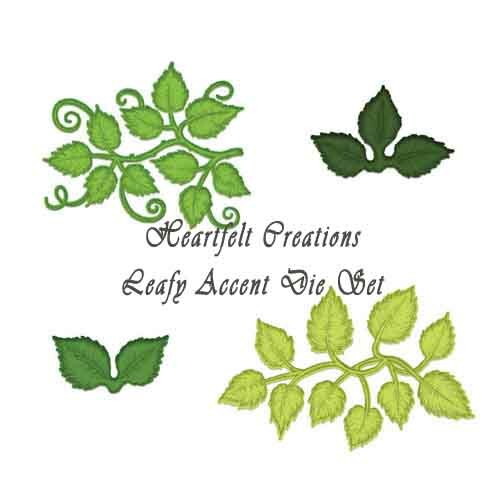 I cut out the excess glue and string and used a hot gun to adhere the flowers on the Heartfelt Creations Leafy Accent die cut out. 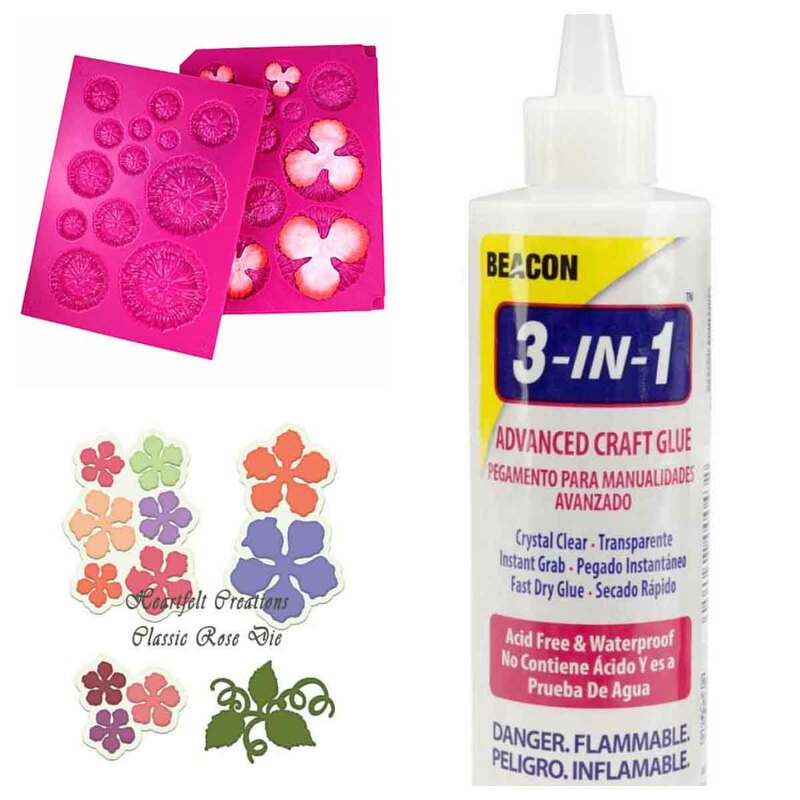 I adhere flowers and leaves using the Beacon 3 n 1 Advanced glue on the card. The gorgeous border is also in the Heartfelt Creations Botanical Orchid paper collection. I cut it out and framed the bottom of the card. I hope I have inspired you to make your paper flowers with this simple technique. My cards and projects are always posted on Saturdays. Keep watching and thank you so much for those wonderful comments as well as suggestions. 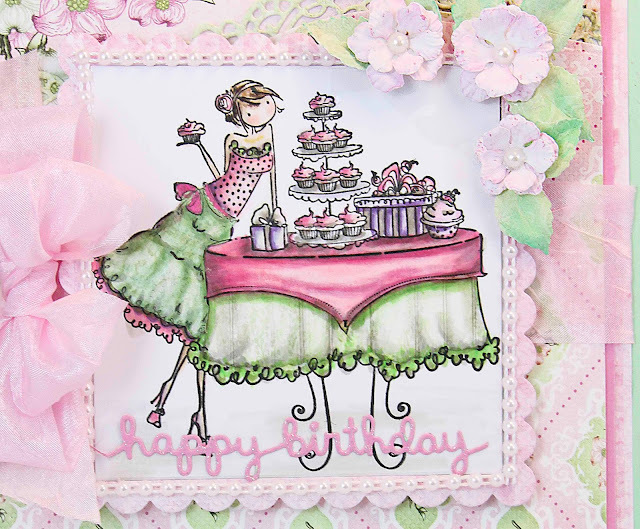 Welcome and Nancy Hill, here to share with you a birthday card made with the adorable Magnolia Stamps with the beautiful Wild Rose Craft paper collection. This stamp would also be beautiful on a Christmas card. 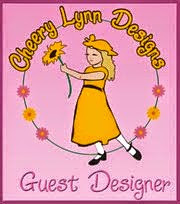 The Rubber Buggy carries all of the name-brand products and supplies for your special project and cards. 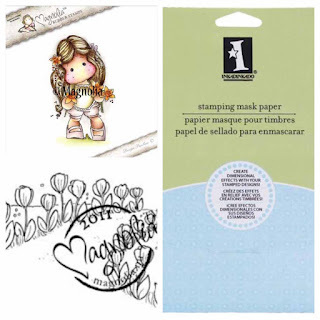 In this blog, I really want to stress the technique of using the Inkadinkado Stamping Mask Paper for stamping over another stamp like the Magnolia Stamp A Little Gift Tilda over the Magnolia Stamp Waiting For Christmas - Snowy Branch stamp. 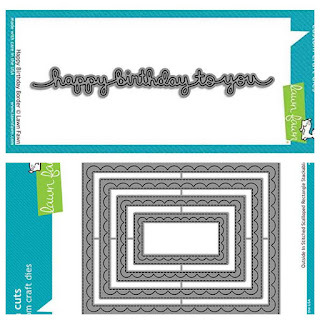 It comes in 12 sheets and I like saving my stamped mask paper cut outs to use again for other cards. 1. Stamp Tilda on the blue side of the masking sheet and cut it out. 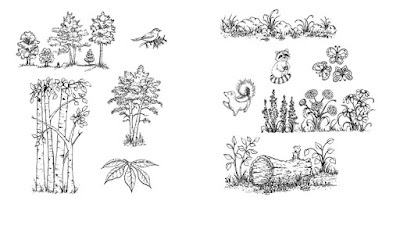 Also, stamp Tilda on the white cardstock but won't need to color until you have stamped the branch. 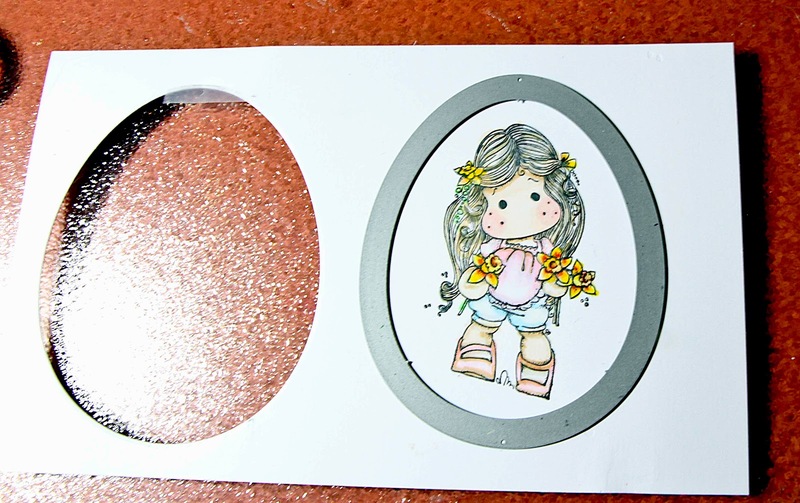 If you prefer, you can reverse this stamping process and use the branch on the masking sheet but I prefer Tilda since it is easier to cut her out. 2. Remove the blue masking sheet on Tilda and tape it on the white cardstock taped with Tilda. Using a stamping platform for the branch stamp, re ink the branch stamping over Tilda a couple of times until you get the desired ink. Remove the blue Tilda masking tape and now you are ready to color Tilda and the branch. I stamped the Wild Rose Studio Christmas Labels stamp and used a scallop punch to punch the label out. 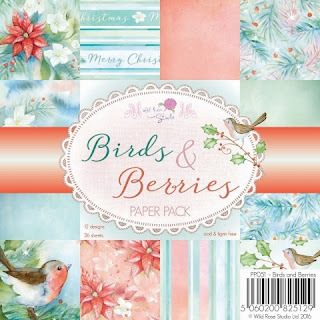 I used the beautiful Wild Rose Studio Birds & Berries paper pad for this card along with snowflake dies and lace. I handmade a bow and added a Wild Orchid Craft white rose in the center. 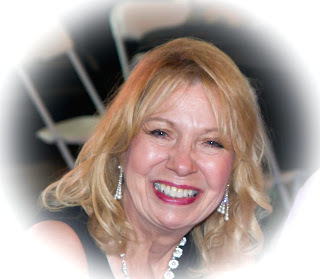 Welcome and Nancy here. Are you thinking Spring or Easter right now with the winter weather in your area? It was fun working on this card with the spring flowers of tulips and daffodils - added a little color to this snowy day. 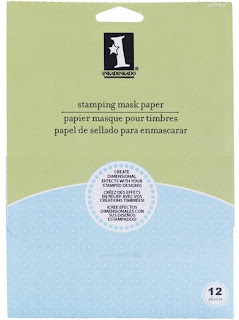 Instructions on Stamping Mask Paper: If you have been following my blog, I have mentioned a few times about using the Inkadinkado Stamping Mask Paper that comes in a 12 pack of 7" x 5" sheets. The Inkadinkado Company has created a U-Tube video on how to use this to layer ink stamps. I inked the Magnolia Stamp Daffodil Tilda first on the white cardstock. I stamped Tilda again on the Inkadinkado paper on the white side and fussy cut her with scissors. I peeled off the blue side and stick it to the stamped Tilda on the cardstock. Now you are ready to align and stamp the Magnolia Stamp-Tulip Walkway over Tilda. To align the two stamps together, I put a clear sheet like acrylic over the stamp image and stamp it to see how well it aligns with Tilda. The Magnolia Stamp Tulip Walkway didn't align well over Tilda so I move Tilda around under the acrylic sheet until I find the perfect alignment. Then I stamp the acrylic sheet again over Tilda. When I got the alignment of the Walkway that went well around Tilda, then I removed the acrylic sheet and stamp it over the stamping mask paper of Tilda. 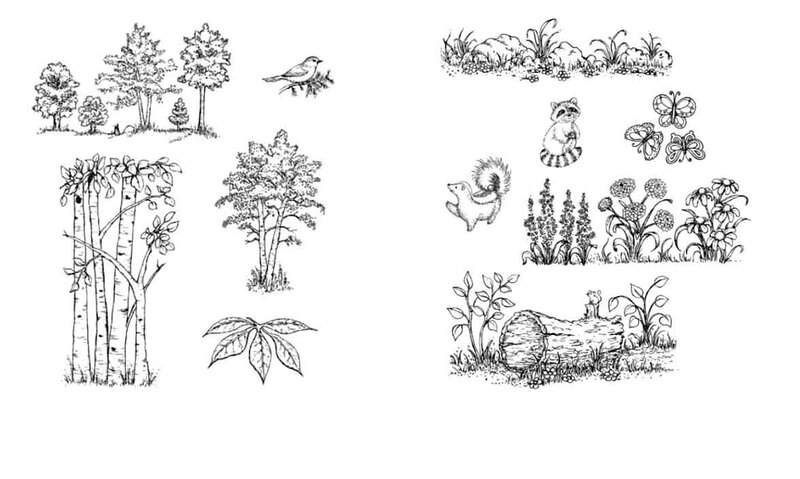 Now removed the stamping mask and now you are ready to color the picture. 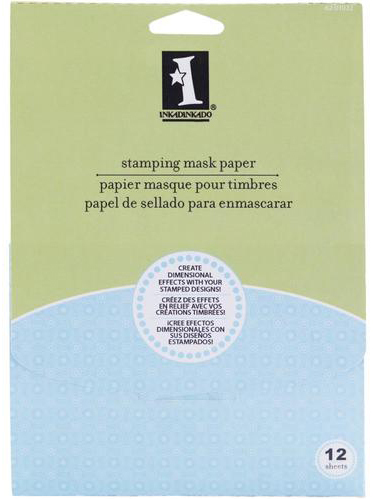 Don't throw away the Tilda stamping mask image but just reapply the blue sheet on sticky part of the mask paper and use again in the future. I like storing this in the same package as my stamp. 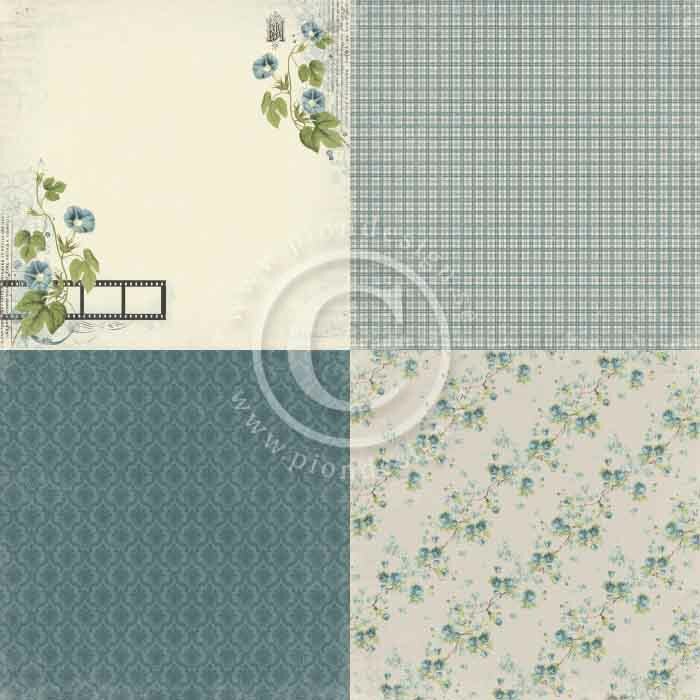 The gorgeous patterned paper is the coordinating Graphic 45 Baby N Bride two-sided paper. 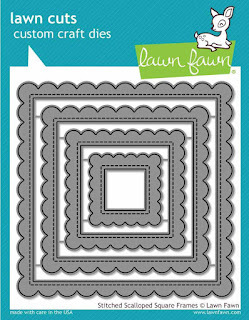 The image was cut out using the Lawn Fawn Stitched Scalloped Square Frame. I am loving the Lawn Fawn Stitched Frame die sets that come in all sorts of shapes since it can be used in a variety of ways and I used the largest die set for this card. Lawn Fawn makes many die sentiments and I am using the Lawn Fawn Happy Easter Border die. I love the script in the Lawn Fawn dies like this sentiment die. 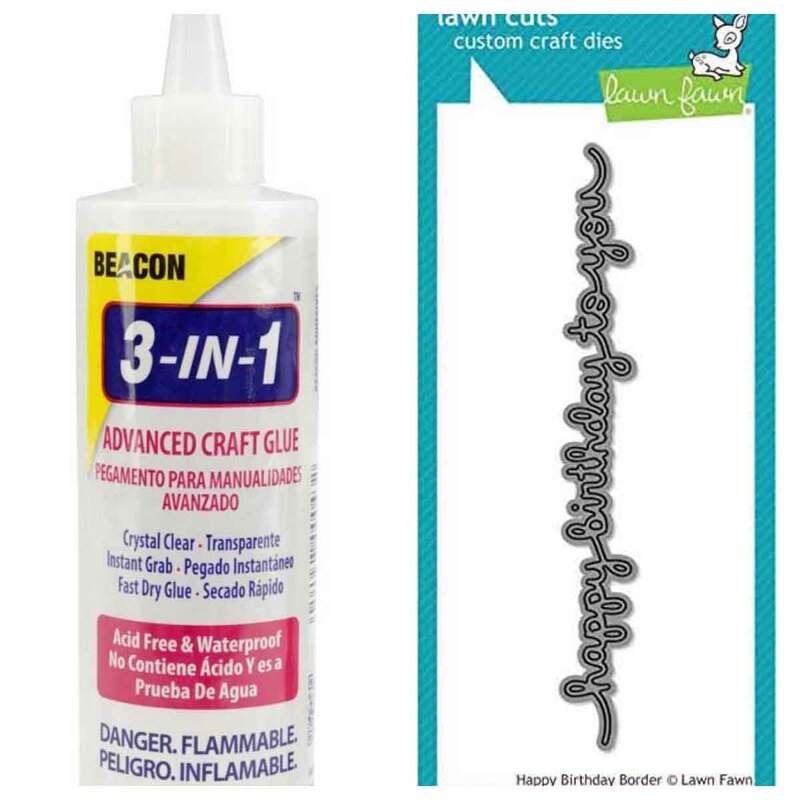 I can express enough the quality of the Beacon 3-In-1 Advanced glue. It dies on crystal clear and I use it for assembling my projects, cards and paper flowers. My cards and projects are always posted on Saturday. Keep watching and thank you so much for those wonderful comments as well as suggestions.